Last week, a report surfaced which claimed Google was to release a kid-friendly version of YouTube in app form for Android devices on February 23. 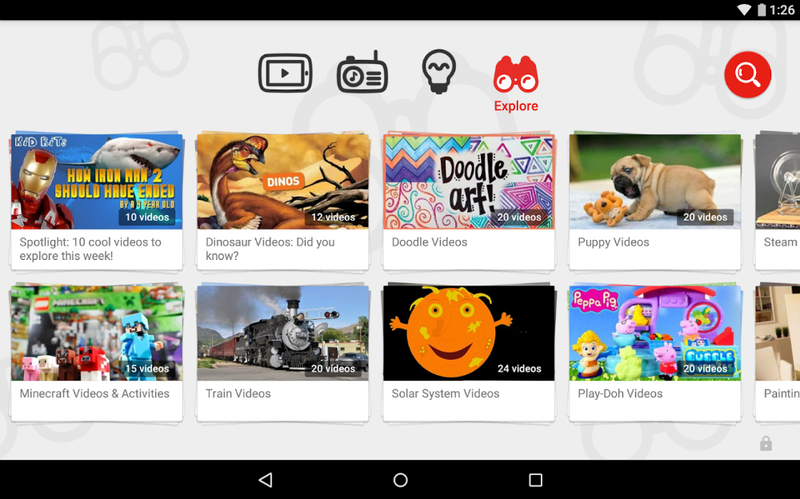 Today, that same application launched onto Google Play and Apple’s App Store for download by all, called YouTube Kids. Focusing specifically on kid and family-focused fun, users can watch videos about Minecraft, Sesame Street, finding the circumference of a circle, and much more. While parents can rest assured that children won’t stumble upon inappropriate videos thanks to diligent curating, adults can set time limits on how many videos kids can watch, just to make sure they get a bit of homework done as well. The app is free to download on both platforms, so be sure to check it out for your kiddies.